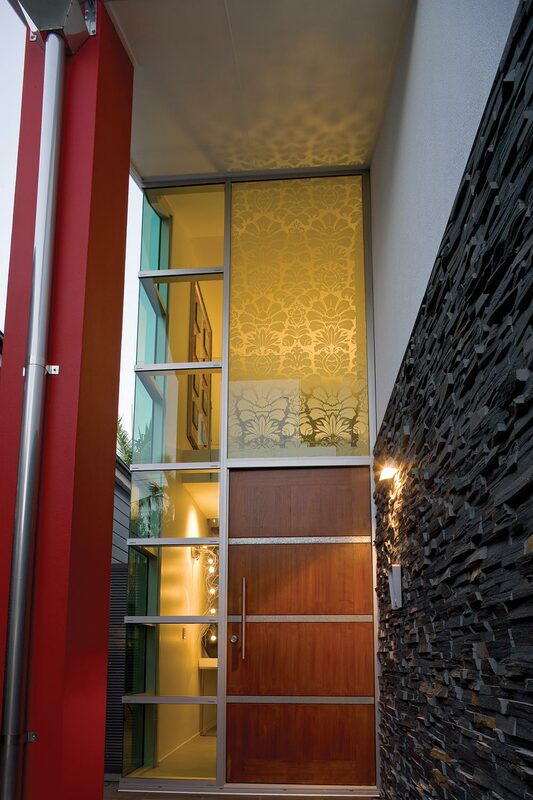 When a design challenge arises, like a lack of privacy or a functional concern, LLumar decorative window film from Custom Window Tinting & Design offers an eye-catching solution that complements your creative vision. A top choice among architects and interior designers alike, decorative window film is ideal for any new or retrofit project across Western North Carolina and comes in multiple colors and textures that easily diffuse, focus or block light for a unique appearance. More than enhancing aesthetics, it can also be applied to doors, windows, mirrors, partitions, and private spaces – making glass surfaces clearly visible, delineating passageways, and adding flexibility, safety and solar protection. Best of all, because it can easily be removed by one of our professionals, you can change your look as often as you change your mind. Set the mood and increase excitement throughout your home or office with decorative window film from Custom Window Tinting & Design. All of our films are custom cut, spliced and finished to your specification, not only beautifying your space but also reducing the effects of heat and glare and saving you on energy costs. Simulate the sparkle and clarity of textured glass while refracting the light. To see our lineup of decorative film options or to receive your free consultation, please contact us today.